I really struggle to make healthy food choices during the Summer months. Sunny days and warm evenings automatically make me crave ice-cream cones, picnics, fish n chips and sugary cocktails. It's just so hard to stay focussed. Having lost 9 stone I know how tricky it can be to stay on track when Summer arrives with all of its temptations. Simon and I are both currently trying to shift some excess weight and those pesky sugar cones at the seaside are making it a little tricky. Here are just some of the ways that we're planning to eat healthier this Summer! Admittedly a lot of our cookbooks spend a lot of time sitting on the kitchen table not getting used. We have loads - Deliciously Ella, The Lean Machines, Madeline Shaw. We just need to start using them! We've made a few recipes from Joe Wicks' Lean in 15 which have become our regular dishes during the week. Our mission this Summer is to get more creative and make ourselves some tasty new dishes. People in my office laugh at me as I eat my homemade salad every lunchtime but to me it just makes sense. Avoid the pitfalls of lunchtime cakes and trips to Greggs and make sure you're always prepared with a healthy pre-made lunch. The same goes for eating at home, preparation is so important. Always make sure you plan your meals ahead and that your fridge is fully stocked with any ingredients that you need - "hangry" people with empty fridges make bad choices! When you're in a hurry and have limited time to make yourself a meal from scratch it can be hard to stay focussed and healthy. We always ensure we have emergency healthy ready meals handy so we're ready for anything. Our current favourites are myhk (My Healthy Kitchen) which are available at Waitrose. Using high quality, fresh ingredients every meal is under 500 calories and isn't full of nasties. 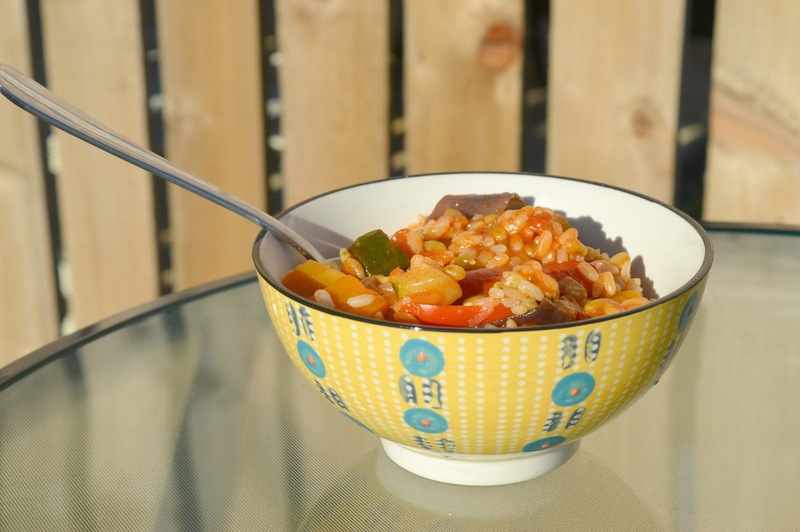 They take only a few minutes to prepare then you can serve them in your favourite bowl and dine alfresco - heaven! It's inevitable that sometimes you're going to need to grab a quick lunch on the High Street but a bit of pre-planning can go a long way. Do your research ahead and save a list on your phone of places that you know do healthier lunch options. Simon and I love the fresh natural food served in Pret a Manger or, if we're out and about in Newcastle, Naked Deli in the Fenwick Food Hall, Nudo Sushi Box and Time Banh Mi all do healthier dishes perfect for lunchtime. Everyone loves a picnic or BBQ in the sunshine and just because you're trying to be healthy doesn't mean you should miss out. Healthy kebabs stacked with veg are delicious on the BBQ and don't forget how good fresh salad tastes alfresco. We went to a picnic last weekend and packed ourselves salad and sushi and didn't feel like we missed out at all as we promised ourselves an ice-cream in the afternoon. It's all about balance, don't deprive yourself of the things you love! It's impossible to avoid eating out when friends make plans but there are ways that you can make healthier choices. Ask for dishes without some added extras, swap your fries for a salad or ask if the restaurant has a healthier menu. 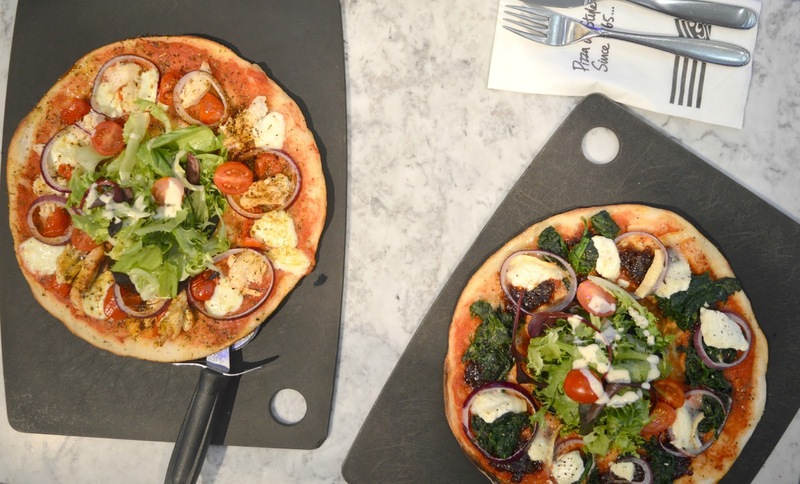 We love eating in Pizza Express when we're trying to be sensible, their leggera menu saves calories without compromising on taste. Those are just a few of my tips on how we plan to stay healthy this Summer but I'd love to know any tips you have of your own. We're always looking for ways to stay on track and make better food decisions. This post was written in collaboration with myhk. Have you got the hairy dieters cook books? The first book imparticular is filled with easy lower calorie meals ideas. They even have lower calorie curry favourites and you really don't feel like you're scrimping on the calories. For me summer means too much prosecco and wine in the garden, But it's a great time to eat some lovely salads. Done great tips there! I find summer more difficult than winter for weight gain too. Ah you are such an inspiration! I haven't heard of those ready meals before but they'd be handy for me to have in the house for lunch so I don't reach for yet another cheese sandwich! These are all so true - especially preparation, I think that's the most important thing for me. If I didn't make my own lunch and bring it to work I don't know what I'd eat, definitely nothing healthy - and I'd have nooooo money!